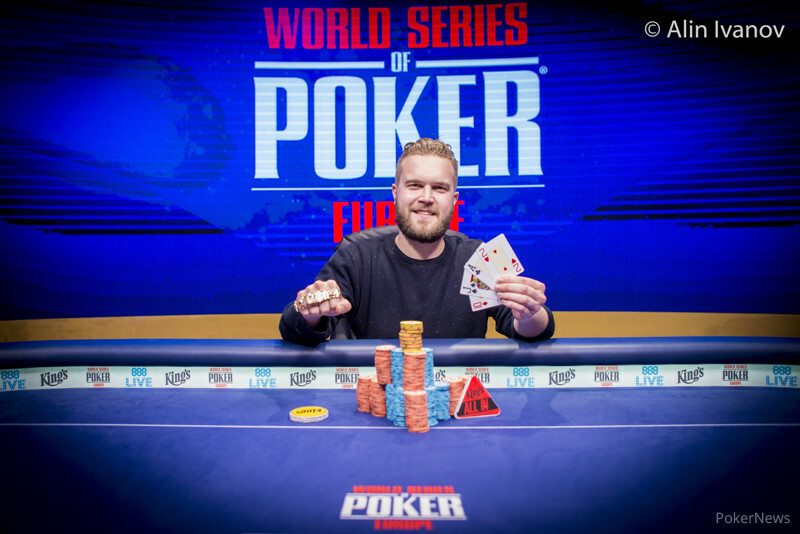 Andreas Klatt bested a field 523 players to win his first WSOP gold bracelet at the 2017 World Series of Poker Europe in Event #2: €550 Pot-Limit Hold'em. He takes home €56,400 for his efforts. It is Klatt's sixth WSOP cash of the year, following five in Las Vegas earlier this summer. It caps off a stellar year for Klatt, coming six months after he bagged himself two six-figure cashes in Monte Carlo. In second place was fellow German Nico Ehlers, who recorded his first WSOP cash, taking home €34,860 for his runner-up finish. However Klatt said that it was "unbelievable" to win a bracelet; his first and Germany's fourth of the year after the successes of Christopher Frank, Jens Lakemeier and Sebastian Langrock in Las Vegas this summer. "I would say it's like a dream of every poker player to win a bracelet," said Klatt following his victory, "These days money is sometimes more important, but a bracelet is still a bracelet. "My goal at this year's WSOPE is to win as much money as possible, but it's always nice to win a tournament!" Klatt, who is predominantly a Hold'em tournament player, says that he plays in a lot of Pot-Limit Omaha cash games. Coming back today with just 31 players, he admitted to hardly ever looking at the payouts or the number of players left on his way to victory. "But then I won another pot and was like: 'Maybe I can turn this around.' That was a couple of key hands there." The day started with a bang with start-of-day chip leader Fahredin Mustafov (pictured above) eliminated early on, after a bluff went wrong against eventual runner-up Nico Ehlers. Mustafov held the nut-flush blocker, but Ehlers called him down with the second-nut flush to knock him out of the tournament. This gave Ehlers the chip lead which he held for most of the afternoon. He was chip leader at three tables and two tables, with Ehlers the first player over one million in chips. Two-time bracelet winner Kristen Bicknell enjoyed a blistering start to the day, but she was sent to the rail in a double elimination when her Aces were cracked by the flush ofVasile Stancu. By the time the official final table of eight was reached, Ehlers was joined by Sergio Fernandez in the seven-figure stack club. Fernandez is enjoying a stellar WSOPE, with the festival only just begun, after he finished third in the Monsterstack yesterday. 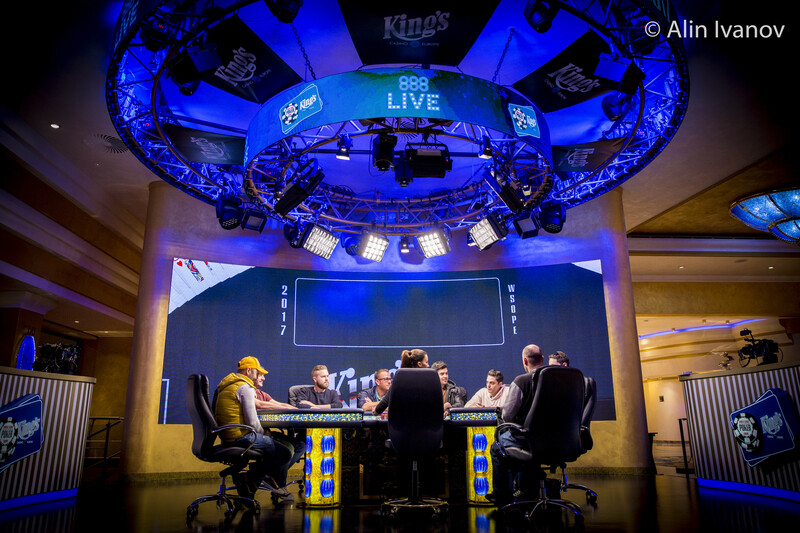 With players relatively short at the final table of eight, it wasn't long until Vasile Stancu and Michal Maryska were sent to the rail by Ehlers and Georgios Zisimopoulos respectively. 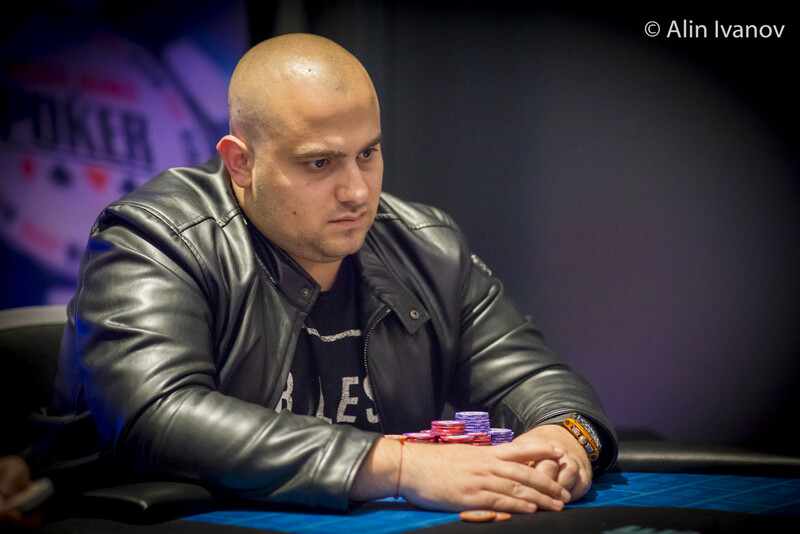 Zisimopoulos enjoyed a hot period, taking chips from Klatt to add to his chips from the elimination of Maryska, and moving into the overall chip lead. The Greek player would benefit from the elimination of Krzysztof Magott in sixth place to take his stack within touching distance of two million chips. 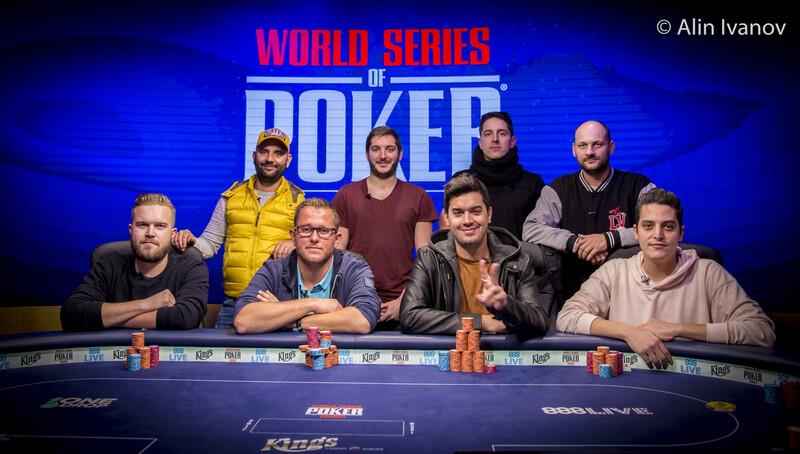 However, after Ehlers eliminated Sergio Fernandez in fifth place, there were just 200,000 chips separating Zisimopoulos, Klatt and Ehlers, with Theodoros Aidonopoulos bringing up the rear. The Germans soon pressed on, pushing their stacks up over two million chips, and putting the pressure on their Greek opponents. Aidonopolis was soon eliminated by Ehlers, whose stack was almost identical to Klatt's. Zisimopoulos was one of the most experienced players at the final table, finishing 2nd in a WSOP bracelet event in 2016 and a 4th place finish earlier this year. This was his 15th WSOP cash, and first in Europe. As was the case throughout the final table, there was not much to separate the two Germans. The average was only 23 big blinds, so it was inevitable that a conclusion was going to be reached soon. And it was, with Klatt turning a straight and fading his opponent's flush draw to seal the deal before the clock reached midnight. Andreas Klatt raised to 200,000 on the button with and Nico Ehlers called in the big blind with . The flop fell and both players checked to the on the turn. Ehlers led out for a bet of 200,000 and Klatt made a pot-sized raise to 1,000,000. Ehlers tanked for nearly two minutes and eventually announced all-in for 2,120,000. Klatt quickly checked his cards again and then made the all with the nut straight. Ehlers would need a club on the river to stay alive. The dealer burned and turned the on the river and Klatt's straight held up to eliminate Ehlers in second place. Ehlers will take home €34,860 for his efforts today and Andreas Klatt was crowned the champion. After Nico Ehlers took the chip lead with a couple of small pots, it was Klatt's turn make a hand. Ehlers limped in on the button with and Klatt checked his option holding . The flop came and Klatt check-called a bet of 125,000 from Ehlers. The turn brought the and both players checked to the on the river. Klatt led out for 325,000 with a full house and Ehlers made the call with a small straight. 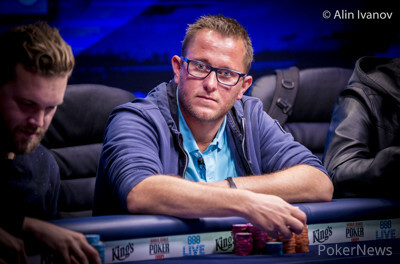 Andreas Klatt will take the chip lead against Nico Ehlers heading to heads-up play. The players are taking a quick break while the tournament staff prepares for heads-up action. Georgios Zisimopoulos raised to 300,000 with in the small blind and Andreas Klatt reraised to 900,000 with in the big blind. Zisimopoulos called all in and was at risk. The flop came , giving Klatt an open-ended straight draw. The turn was the , completing his straight, and the river was the . 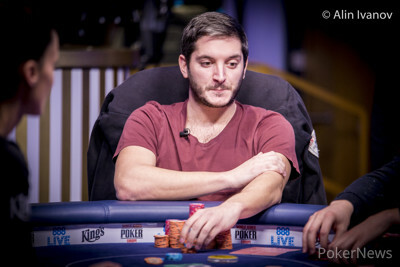 Zisimopoulos was eliminated in 3rd place and received €23,979. Nico Ehlers raised to 300,000 in the small blind with and Georgios Zisimopoulos called in the big blind with . The flop came and Ehlers led out for a pot-sized bet of 600,000. Zisimopoulos announced a raise and Ehlers quickly called off his last 210,000. Ehlers had Zisimopoulos drawing almost dead and the landed on the turn. The completed the board and Ehlers made the best straight to double up. Nico Ehlers raised to 225,000 with and Georgios Zisimopoulos raised all in for 675,000 with . Ehlers called. The board ran out giving Zisimopoulos two pair and the Greek doubled up. Nico Ehlers opened to 225,000 on the button with and Andreas Klatt called in the big blind with . The flop came and Klatt checked to Ehlers who continued for 300,000. Klatt check-raised to 1,525,000 and Ehlers folded his ten-high flush draw and middle pair. A Winner Will Be Crowned in Event #2: €550 Pot-Limit Omaha!